A STATEMENT FROM the solicitor representing those accused by Mairia Cahill has responded to the “unprecedented media onslaught” they have faced. In the statement, they state their opposition to the version of events put forward by Cahill. The other charges were to be contested and ultimately Maria Cahill, the main prosecution witness, was to be cross-examined about her version of events which was not accepted by my clients. The letter, which is written on behalf of Padraic Wilson, Seamus Finucane, Briege Wright and Maura McCrory, has responded to accusations by Cahill that she was raped by members of the IRA and was then interrogated by the organisation. It states that those accused have been subject to a lengthy police investigation and that Cahill has been “afforded every resource the state could offer”. It goes on to state that the claim that Padraic Wilson had previously been a member of the IRA had been dismissed by a court previously. Cahill has stated that she withdrew her evidence as she believed the investigation had been mishandled. Email “Four accused by Mairia Cahill respond to allegations ”. 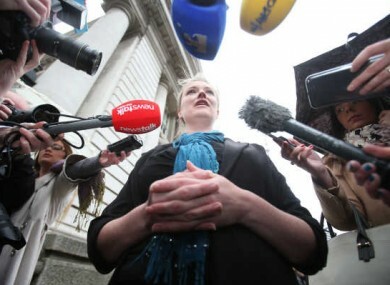 Feedback on “Four accused by Mairia Cahill respond to allegations ”.